Del. 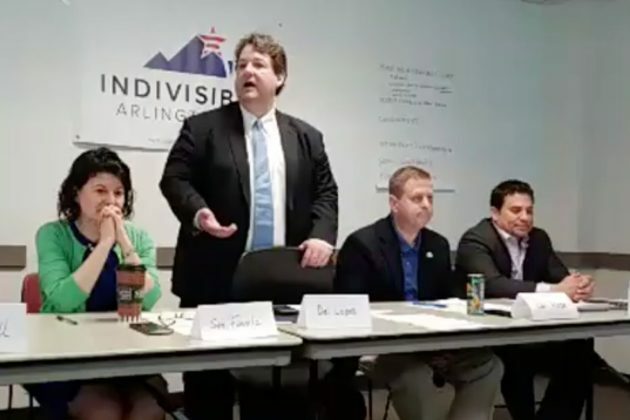 Alfonso Lopez (D-49) says anonymous threats prompted him to request that police monitor a Indivisible Arlington town hall last weekend, and now he’s offering to meet with the pro-immigrant activists who confronted him at that gathering. 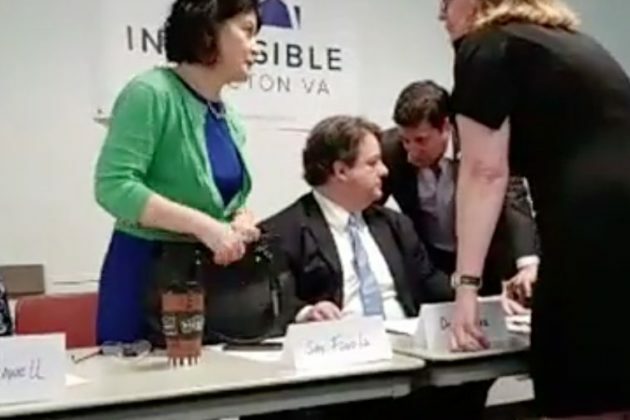 The question of who requested the involvement of Arlington County Police at the event, after some LaColectiVA activists asked some tough questions of Lopez on his ties to a contractor for U.S. Immigration and Customs Enforcement, has been on the minds of several meeting attendees and even other Democratic lawmakers in the days following the meeting. 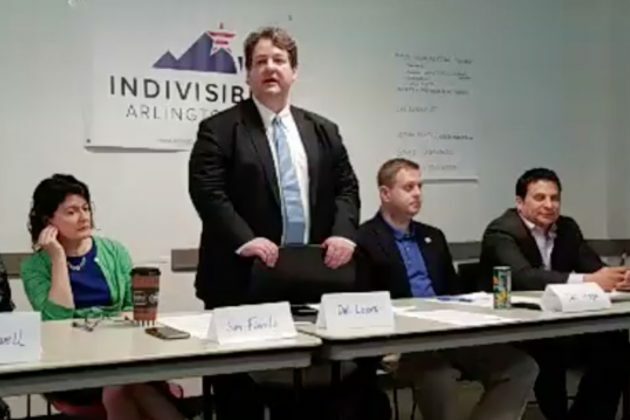 The police who manage protection for state lawmakers — the Virginia Division of Capitol Police — told ARLnow last week that Lopez had indeed requested a police presence at the event, and Arlington County Police confirmed that they’d agreed to check in on the meeting, though they’re adamant that they were not actively monitoring it. Now, in his first public comments since the May 12 meeting at Arlington Central Library, Lopez told ARLnow in a prepared statement that he’s been notifying the Capitol Police about any public event he’s attended since last December. He chalks that up to “unwanted anonymous threats,” echoing claims he made at the meeting that some members of LaColectiVA had crossed a line when protesting his consulting work for the ICE contractor. LaColectiVA’s activists have been particularly frustrated that they feel like Lopez has ignored their requests to engage with them on the issue — Lopez reported on disclosure forms that the Immigration Centers of America, which runs an ICE detention center in Central Virginia, paid him $5,000 in 2014 and $10,000 in 2015 and 2016. He’s repeatedly stressed that he is barred from discussing that consulting work by a nondisclosure agreement. 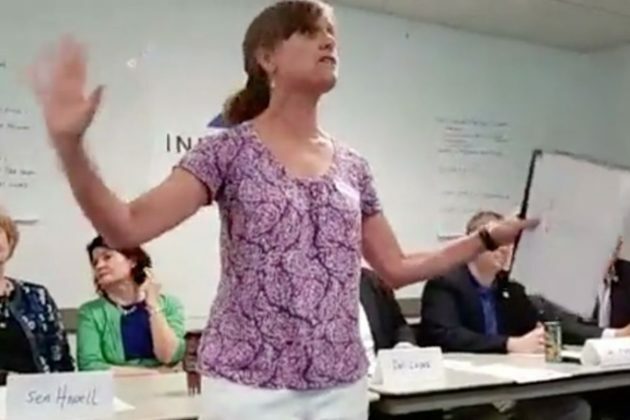 Yet Nelson Lopez noted that the delegate wants the meeting to be private and only with members of LaColectiVA’s leadership, which he feels would not satisfy the group’s efforts to encourage more public engagement on the issue. “We have told him that the meeting needs to be public so that he can speak to the whole community, not just us,” he said.